I wish that I could start the first post of my Four Peak Project on a triumphant note. While our time on the Elliot Glacier was beyond successful, and the education that we received there invaluable, there’s unfortunately been a tragic footnote to our story. 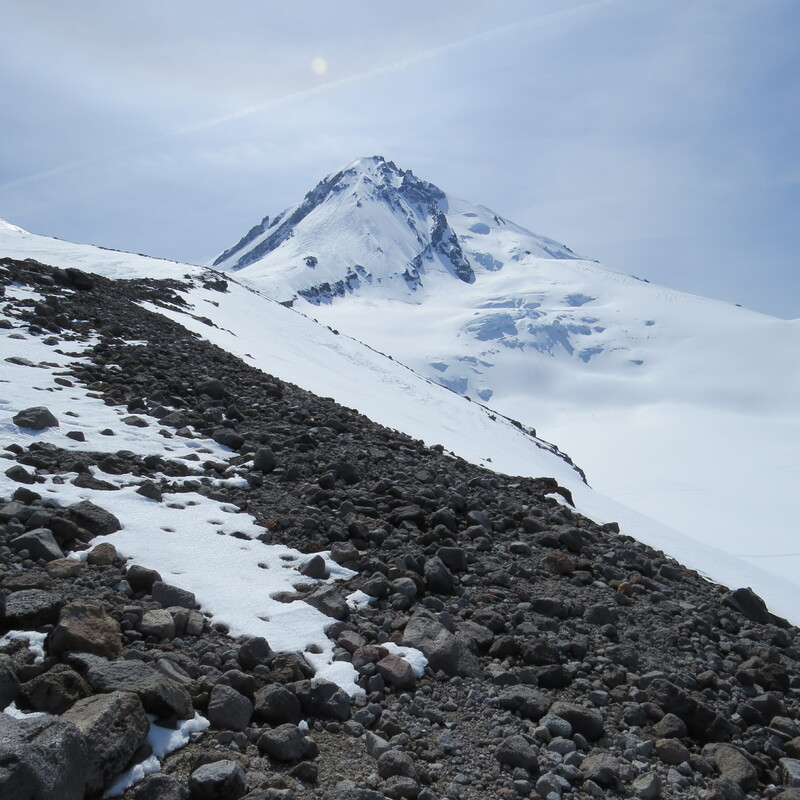 About two days into our climb, our guides informed us that the temperature had increased to a level that the upper slopes were virtually unclimbable. 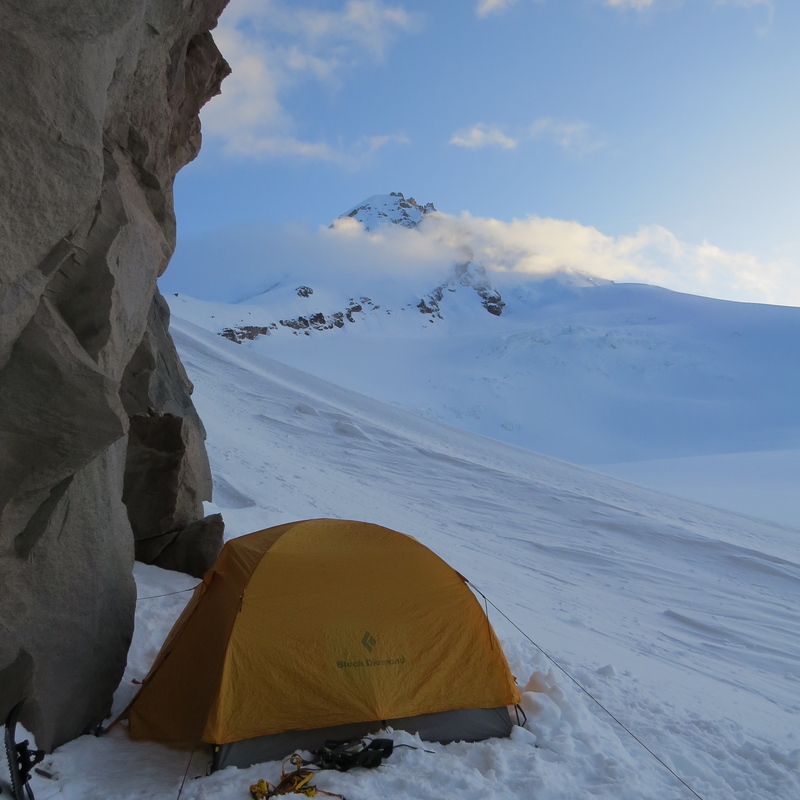 We decided to stay in the lower Elliot glacier, practice rope maneuvers and ice climb frozen ice floes on the edge of the Cooper Spur. We left Mt. Hood on Monday afternoon and drove back to Seattle, only to learn that a climber from New Jersey had tragically fallen the next day. 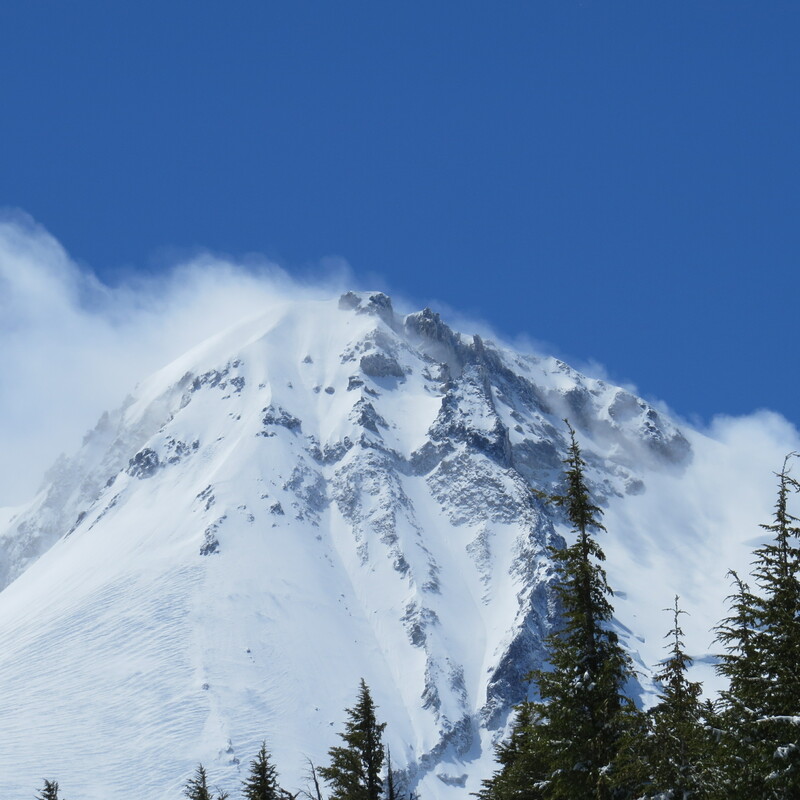 The accident has been described as having been under the same conditions that we were warned against: Too hot, slushy ice, and significant avalanche danger. In light of this event, while I will be covering the time that we spent there, I’d like to talk for a moment about one of the most significant aspects of climbing. Judgement and good decision making. Our recent turnaround on Hood has been the third time in two years that the summit has been elusive. First on Rainier in 2012, Elbert in February 2013, and Hood this past weekend. The reason has always been the same, weather too windy, too unpredictable, too warm. Alpinism is one of the most dangerous forms of climbing. Not because of the height, or the technical difficulty, but because it spends so much time in dangerous, exposed environments, many instances with little time to return to camp. The incidents that occur happen after the summit, when climbers are exhausted from the way up and are dangerously slower on the descent. If there is one thing that I have learned from my few experiences, it’s that self-evaluation and good judgement, no matter how hard the decision may be, can mean the difference between triumph and tragedy. Early on our ascent to Elliot Glacier on Saturday evening, we crossed an icy ridge in howling winds to reach a camp at the edge of the ice floe. As a slight delay held up our team from moving forward I voiced concern that in fading daylight, I didn’t feel traveling farther up the glacier in the winds to pitch camp was a viable option. We set out on that same route on a calmer Sunday morning, and even under clear skies, it took us over an hour and a half to reach that distance. For this I give full credit to our guides, Ryan and Kevin, who urged us to speak our minds and be part of the team if we were feeling uncomfortable. It was them, on that Sunday, who decided that climbing up the Spur would be too risky and gave us a lesson not only on climbing, but on good pre-trip research and judgement. Climbing, especially mountaineering, is rarely about having to reach the top. In the past few years, on peaks from Everest to K2, there’s been story after story of “Summit Fever”, the extreme desire of needing to reach the summit against all odds and logic. From what I’ve learned over these past three trips, the condition is very real and so are the consequences, leaving climbers to make irrational decisions and sometimes break moral ethics for a few minutes on top. On Elbert and Rainier I did experience extreme want, both times being set right by my partners. I came to Hood with a different mentality. As much as getting to the top was tangible, it wasn’t everything. Having the right education and becoming a mountaineer not only in practice, but in ethic as well was just as important, and in this regard, I believe we succeeded beyond all measure of a doubt. Our descent route where there was high avalanche concern. What I learned this weekend was despite the fact that I’m irreversibly in love with the mountains, and alpinism in general, there’s still a lot to learn and many new skills that I haven’t fully mastered. I particularly struggled with belaying from a picket, using a Munter and Clove Hitch, and smoothly transitioning pitches. While I felt frustrated on Monday afternoon, it left a clear sign of what I had to work on, and with enough practice, I feel I’m more than capable of mastering new skills. When I announced my year-long project, I didn’t only intend to climb and say that I had stood on these four peaks. I want this to be learning opportunity, to better understand the kind of climbing that I’d always dreamed about. Well stated. Ed Veisturs has said many times that no summit is worth dying for. Turning back before the summit is always tough, but the mountain isn’t going anywhere. Way to take a sub-optimal situation and turn it into a positive learning experience! Wasn’t worth the risk at all. Thank you!